Head over to Mekong for a Green Flash tap takeover tonight Wednesday January 30th starting at 5pm. 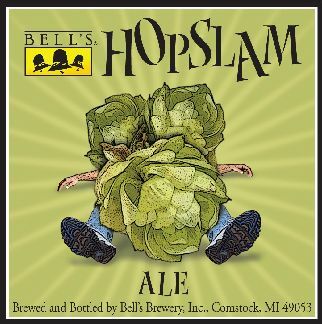 Brewmaster Chuck Silva will be around to discuss the beers. 30th St Pale — normally limited to San Diego! The Camel — Feb 3rd 6pm — As part of their Super Bowl of Beers. I will update with more places as well as keg tappings as I hear more. New York City To SAVOR Craft Beer Of Legend, Starr Hill, And Devils Backbone! Earlier today the Brewers Association announced the breweries to participate in Savor: Craft Beer & Food Experience in New York City June 14 – 15, 2013. You can see the complete list here but Virginians can be proud to be represented by lottery winners: Legend and Starr Hill as well as supporting partner Devils Backbone. Secco Wine Bar’s monthly beer brunch is back for it’s first installment of 2013. PS. Check out the upcoming events at The Room at Secco sure to excite local beer geeks and the wine-curious alike Beer & Charcuterie pairing class on Feb 19th, and Wine 101 this Tuesday . In a most unlikely turn of events, Camden’s Dogtown Market has been sanctioned to STEAL BUSINESS from its neighbor, Legend Brew Pub by serving a menu of fantastic food with beer pairings for one night only! This was a feat of great détente, with a team of negotiators working into the wee hours to placate two sides with monster egos and little common ground. But in the end, an accord was reached and the people shall be the victors! Actually, Legend’s Sales Manager Kevin Timme stopped into Camden’s for some toothpaste and asked if we might ever be interested in hosting a beer dinner with him, to which we shrugged and said “Sure.” But from that small exchange a dinner of epic proportions has emerged and we’re going to make it sound BIGGER THAN IT IS! There will be informative banter from Kevin, incoherent slurring from Chef Andy, and possibly some dirty jokes from Legend’s Head Brewer…for which no price can be properly levied. The cost for the dinner will be $45/person excluding tax and tip. Head over to the Facebook event for more information or email camdensdogtown@gmail.com to RSVP. Now that we’ve gotten the first snow out of the way, it is time for the first pub crawl of the new year. 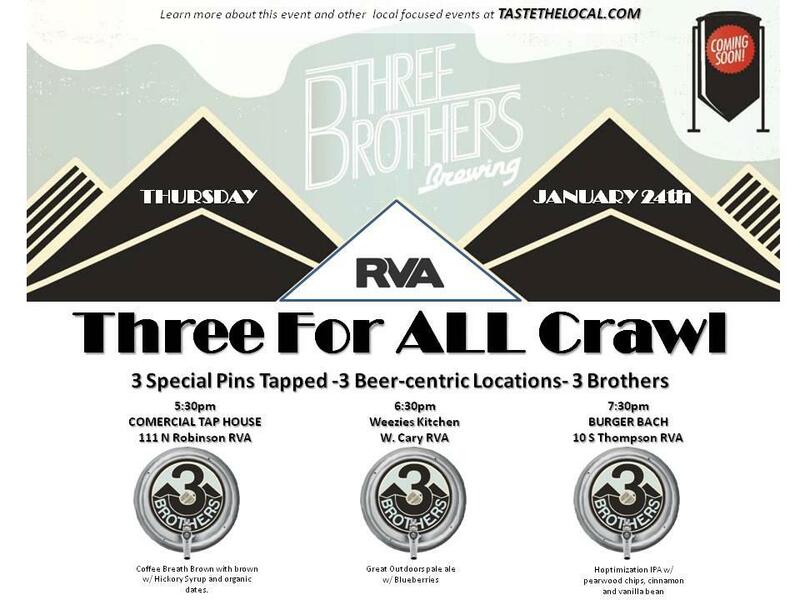 Virginia’s newest brewery out of Harrisonburg, Three Brothers Brewing comes to town Thursday January 24th with three intriguing firkins. Sadly, I will miss out due to a prior commitment. Hickory syrup?! Ok, maybe I can make try to make one stop. 5:30PM — Commercial Taphouse — Coffee Breath Brown with w/ Hickory Syrup and organic dates. Never thought I’d be saying this but it looks like I’ll be attending the Virginia Wine Expo for the first time this year. In their great wisdom, the Expo has added Burger Blast to their schedule Friday February 22nd from 5 – 10pm. Burger Blast will feature artisan burgers with samplings of Virginia beer and wine.